So you might be wondering, how can I help change this? 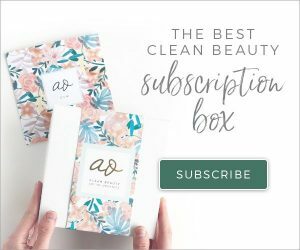 Today I’m partnering with Jessica from Everyday Eco Living to bring you a huuuuuge list of natural makeup and personal care brands that go out of their way to offer you sustainable or zero waste packaging. Let’s get started! You may be wondering about recycling of plastic containers. Unfortunately, the majority of discarded plastic is not recycled. In fact, the EPA estimates that only 9.5% of plastic discarded in 2014 was actually recycled. In addition to environmental concerns, plastic packaging is not good for your health. Certain chemical components of plastic, such as BPA and phthalates, have been linked to harmful health effects like hormone disruption, obesity, and even cancer. Learn more in this blog post. Bamboo is the fastest growing plant in the world, making it the number one renewable resource 🐼 Bamboo actually grows faster when it is cut down! Compostable/biodegradable paperboard is made from recycled paper pulp. When manufactured and disposed of properly, it is largely considered a renewable resource. Glass and metal are 100% recyclable. This means that they can be infinitely recycled into new packaging without loss of quality. It is also very easy to repurpose a glass or metal container! Recycled plastic is another option. Many companies repurpose plastic into new packaging. While this is not ideal (in terms of a renewable resource), it is better than other alternatives. Silicone is an eco-friendly material derived from sand. The process to manufacture silicone is much less wasteful than the process to manufacture plastic. It can be recycled (in the right facilities) and is a safe non-toxic alternative to plastic. Aether Beauty Eyeshadow Palettes: This palette is fully recyclable with the removal of the eyeshadow pans and elastic. It contains no magnetic strip or mirror either! Plus 10% of proceeds go to The Water Project, which provides clean, safe and reliable water and sanitation solutions across sub-Saharan Africa. Alima Pure: Although a lot of their cosmetics are packaged in plastic, they do offer some refillable compact options for some of their products such as concealer, pressed foundation, and pressed eyeshadow. Antonym Cosmetics: Antonym compacts are made of sustainable bamboo and the paper they use is either recycled or FSC (sustainable forest) paper. Au Naturale Cosmetics: Their components are mostly aluminum and the boxes they come in are 100% post-consumer waste. Plus they use Palm Done Right sustainably-sourced palm oil. Axiology: Their lipsticks are cased in aluminum and the boxes are sourced from a woman-owned recycled-paper boutique in Bali. Axiology also never uses palm oil in their formulas. Ecco Bella: Not all of their products come in sustainable packaging but Ecco Bella offers three different refillable packages for multiple products (eyeshadow, powder eyeliner, blush, and shimmer dust). Elate Beauty: Elate uses bamboo packaging from China, where they work closely with a green certified, fair-trade manufacturer. All of the bamboo is water processed, not chemically treated. A lot of their products, like powders, are sold separately from the compact so you only have to buy the compact once and just refill the insides. The refills are packaged in seed paper which can then be planted in your garden. Any plastic that comes with shipping boxes is always reused by their company and never purchased. What’s really cool: if you are taking a plastic-free challenge or have a plastic-free lifestyle, you can let them know at checkout and they will accommodate you. Faraday Face: This line is TRULY zero waste! They are compacted into very thin aluminum pans and placed in recyclable paperboard palettes, then fastened closed with ribbon made of untreated Japanese linen (as opposed to magnets which can redirect packaging to landfill). Ilia Beauty: Ilia’s products are housed in sleek recycled aluminum cases. Kjaer Weis: Their products also use a refill system, housed in durable metal compacts that slide open (even their mascara!). RMS Beauty: They use very minimal packaging; most of their products are in glass and all of it is biodegradable, recyclable, or reusable. Sappho: A Canadian makeup brand that uses glass and metal packaging (for the most part). Their CC tubes, Primer tubes, and sample tubes are treated with a special compound made in the U.S. that renders them biodegradable in a landfill in 2-7 years. Tata Harper: Not only is Tata Harper packaging a beautiful green and gold color, but their focus on sustainability is incredible. The majority of their packaging is made of glass. What little plastic they do use is necessary for the function of the packaging and is as eco-friendly as possible. The plastic resin for their tubes is derived from corn, which means it is made from a renewable resource instead of petroleum. The cartons they use have the Sustainable Forestry Initiative label, and they also used recycled paperboard and print with soy-based inks. Vapour Organic: Vapour uses mostly aluminum and glass for their product packaging, and their lab uses a flood-fill system to reduce waste. Their product boxes are made from post-consumer recycled paper printed with soy ink. Aside from their products, they use passive-solar and wind power in their offices, warehouse, and lab. Code ORGANICALLYBECCA for a discount! Dr. Brite Oral Care: Most toothpaste comes in a separate cardboard box, not Dr. Brite’s! Theirs is packaged in recyclable, BPA-free tubes and that’s it. Made in small batches with biodegradable ingredients to eliminate waste, and labels are printed with zero or low VOC inks. Plus their company uses many sustainable practices like using recycled, grey water in their bathrooms. Code ORGANICALLYBECCA saves you 20% on their website! Captain Blankenship: Hair products that use recyclable and reusable glass packaging or paperboard. Lola Organic Cotton Tampons: Organic cotton tampons that are available with a cardboard applicator or even without an applicator at all (or you can try a menstrual cup!). 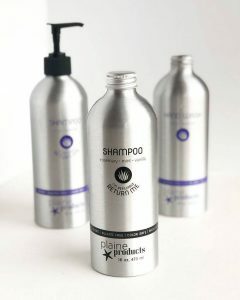 Plaine Products: Shampoo and conditioners that are packaged in aluminum and have all recyclable packaging. Plaine also gives you the option to buy with or without a pump, plus a refill system so you just send your bottle back for a refill and only buy the pump once. Code ORGANICALLYBECCA saves you 20% on their website! WooBamboo: They sell an array of dental products, but their toothbrushes are made of natural, biodegradable bamboo. They also sell floss made with natural, biodegradable silk that comes without a container but is packaged in renewable plant-based plastic. They print with soy-based ink and post-consumer waste. Good Medicine Beauty Lab: Natural perfumes and skincare products packaged in glass. Kari Gran: Skincare products packaged in Miron glass (a special 100% recyclable dark violet glass that blocks the complete spectrum of visible light, which eliminates the need for preservatives). Ladyloved: Skincare products packaged in 50% recycled glass. Laguna Herbals: Reef-safe mineral sunscreen that is packaged in an aluminum tin, plus skincare products that come in glass bottles. Leahlani Skincare: Handmade products that are contained in frosted glass. Mahalo: Skincare products that come in bamboo, you can even purchase their “imperfectly packaged” products at a discount. Manda Naturals: Reef-safe mineral sunscreen packaged in bamboo. Meow Meow Tweet: Natural deodorants and skincare products packaged in glass and paper boxes. Mūn Skincare: Sustainably-sourced organic skincare products packaged in dark glass. Osmia Organics: Organic soaps that come in partially-recycled, chlorine-free watercolor paper. Their skincare products are housed in glass with EcoCert-approved recyclable pumps or 100% recycled cardboard tubes with recyclable metal tops. All of the boxes they use are made with recyclable, FSC certified paper and printed with non-toxic, soy-based ink. Pure + Radiant: Organic skincare products packaged in glass, some have aluminum caps. Raw Elements: Reef-safe mineral sunscreens and skin care products, they have an entirely “plastic-free” collection. Mostly glass and aluminum tins! Tammy Fender: Natural skincare products packaged in glass. True Botanicals: Body and skincare products packaged in glass to optimize freshness and to consider the environment. Cleaning Essentials: A collection of reusable cleaning containers made of durable glass. Healthy Human: Food-grade stainless steel reusable straws and cups. Keep Cup: Reusable travel cups made from tempered glass and cork. Parts and accessories can be ordered separately. Kleen Kanteen: Food-grade stainless steel reusable cups, bottles, and canisters. All supporting accessories are made of BPA-free plastic or food-grade silicone. Parts and accessories can be ordered separately. Pelacase: 100% compostable phone case that arrives in totally plastic-free packaging. Stasher Bags: Pure platinum food-grade silicone reusable snack bags. 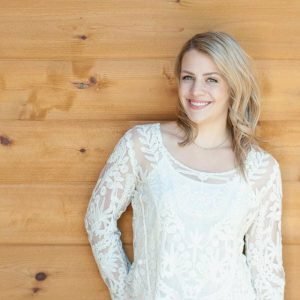 Jessica is the founder of Everyday Eco Living, a blog dedicated to providing practical ways to live a more eco-friendly lifestyle. 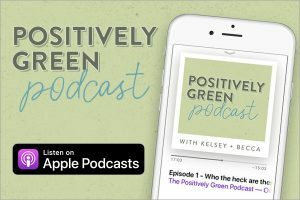 As a working mom of two, she has found a way to incorporate green living into a busy lifestyle. Go give her a follow on Instagram: @everydayecoliving. Check out whoanelli.com sustainable cleaning and skincare products! Ethique is a great brand for bars: shampoo, conditioner, shave, body wash, lotion, face bars, they even have a pet bar and a laundry bar! Their packaging is simple and compostable. https://ethiquebeauty.com/ Check them out!! It’s definitely NOT a good material for the environment. this is a start, but there is still a very long way to go! Older folks might remember mascara that came separate (in a container) from the brush, and people used good brushes for nearly life, caring for them. The costmetics/salon and pharmaceutical industries are terrible when it comes to contributing to plastic waste, and there needs to be a step toward compostable bags for these pills and powders.